Ink cartridge is designed for use with Epson Stylus Photo 1400 and Artisan 1430. 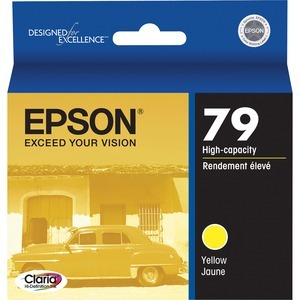 Claria Hi-Definition Inks provide true-to-life colors for printing your best shots. Cartridge delivers durable photos that are smudge-resistant, scratch-resistant, water-resistant and fade-resistant. Quick-drying Claria inks make handling photos worry-free. Patented SmartValve Cartridge technology has MicroPiezo Ink Level Sensors for reliable printing. Cartridge yields approximately 810 pages.